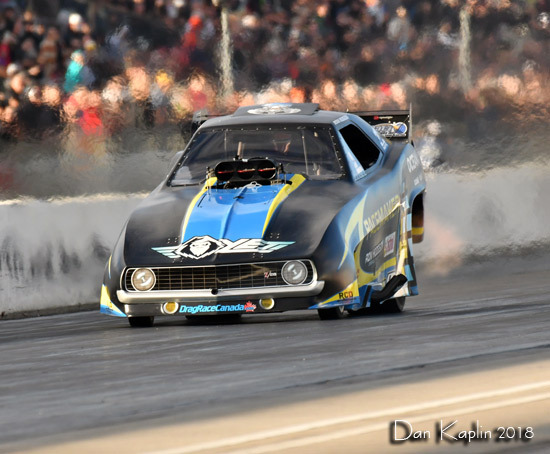 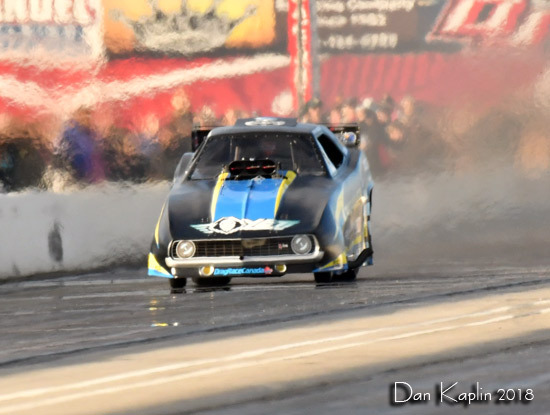 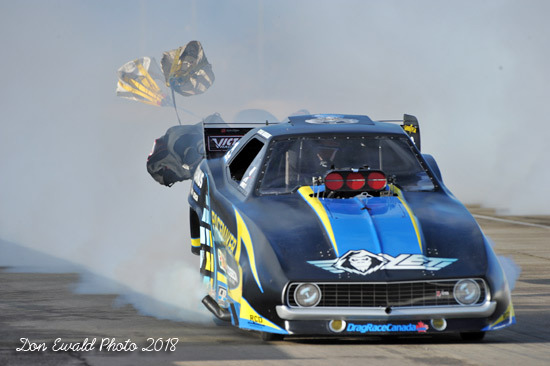 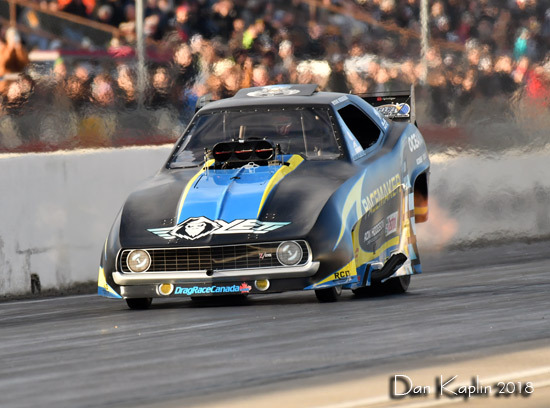 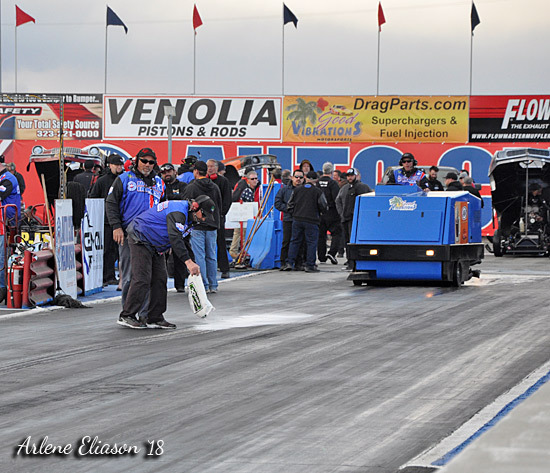 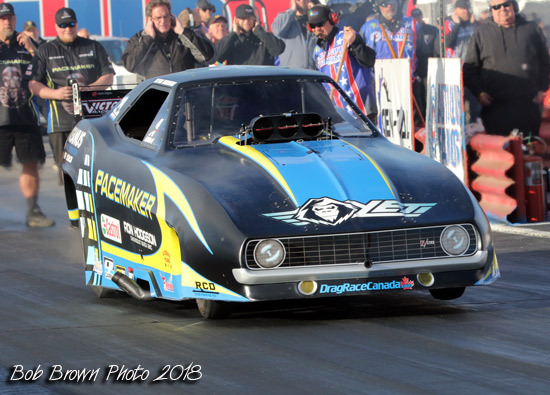 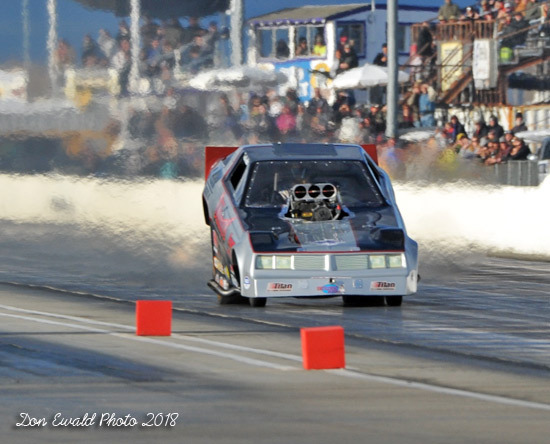 After heavy rain all night and into the morning the track was dried for the first time and Funny Car got its third and last session. 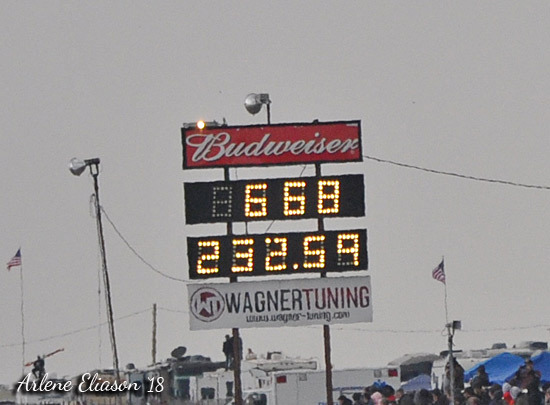 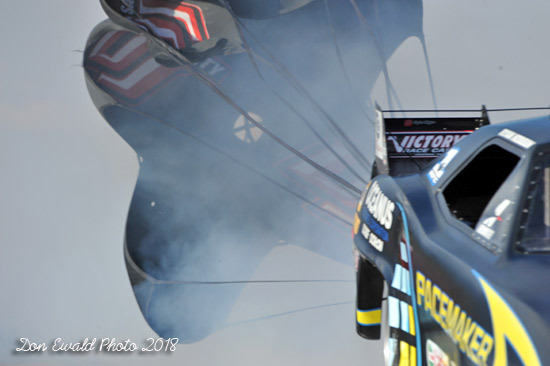 Many wondered why Top Fuel didn't get this slot and in spite of the weather the powers to be stuck to the original schedule. 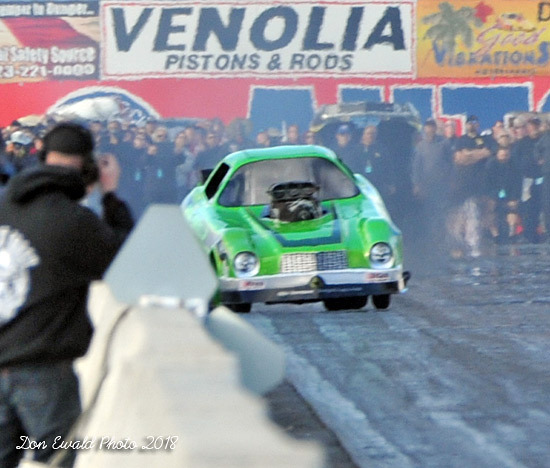 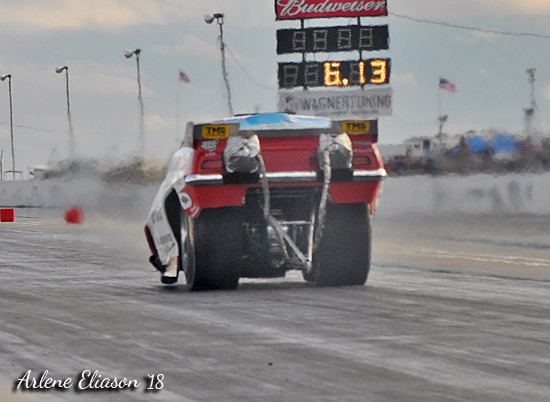 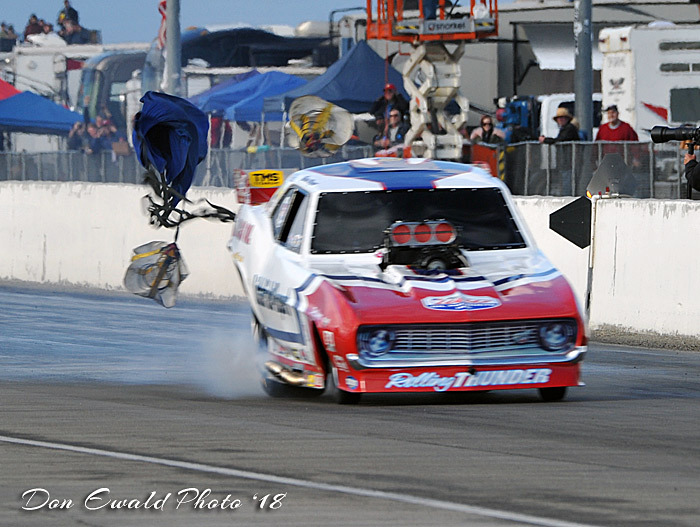 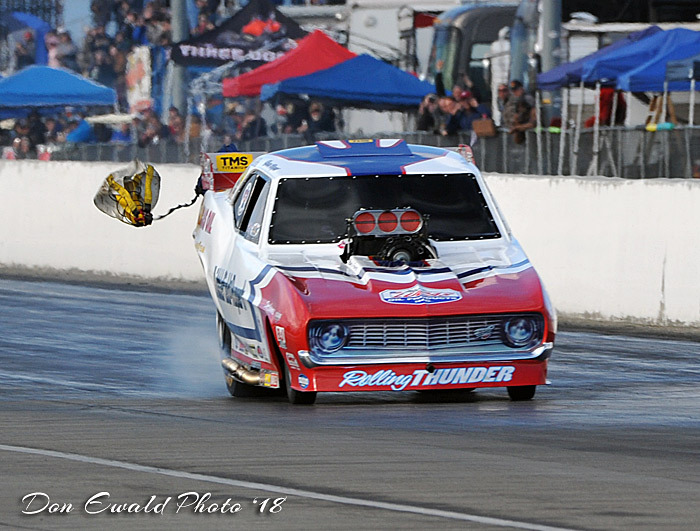 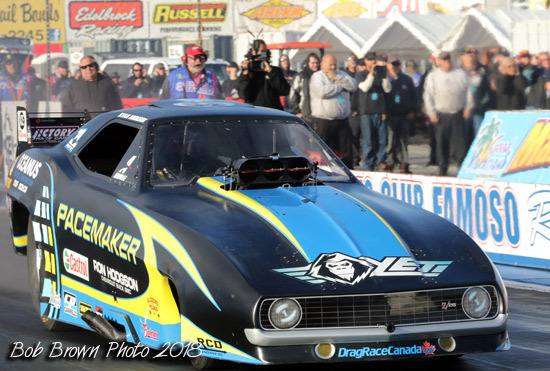 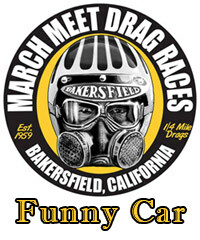 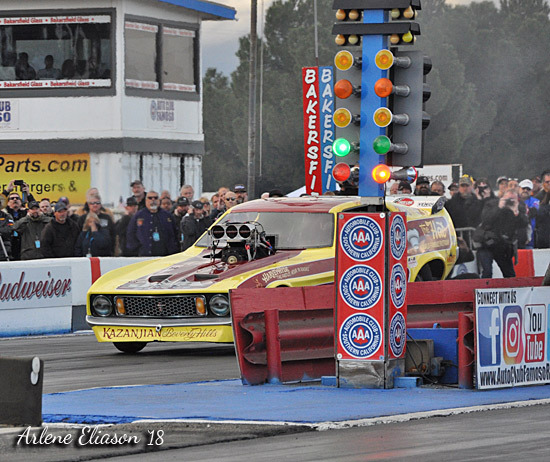 The dragsters get screwed again. 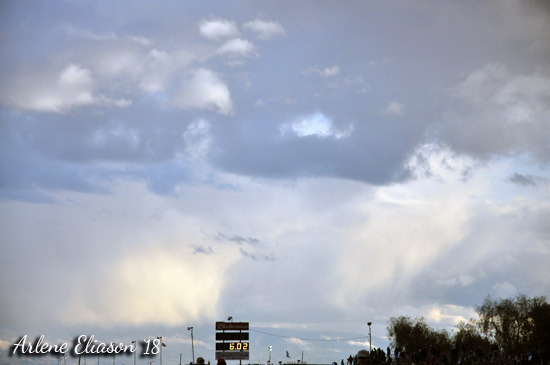 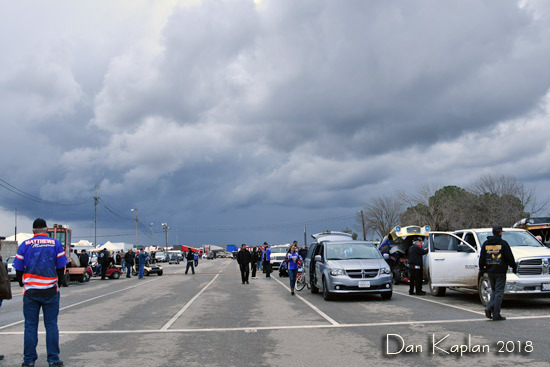 Saturday had anything but Chamber of Commerce weather. 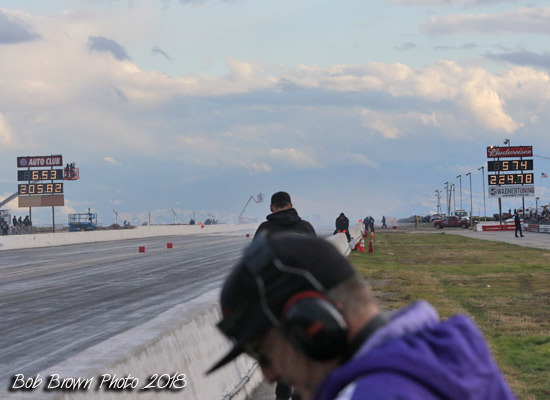 Under menacing skies the last session was led off by Matt Bynum and Tim Boychuk. 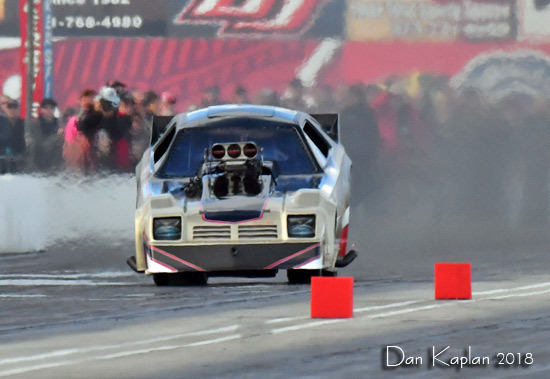 For whatever reason, Chris Davis had a single in the right lane. 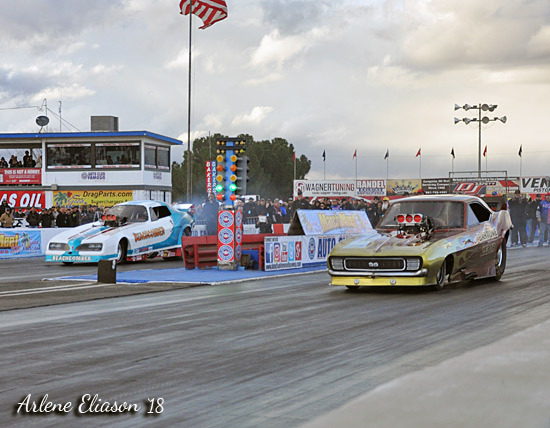 Pair two found Rick Rogers meeting Jason Rupert. 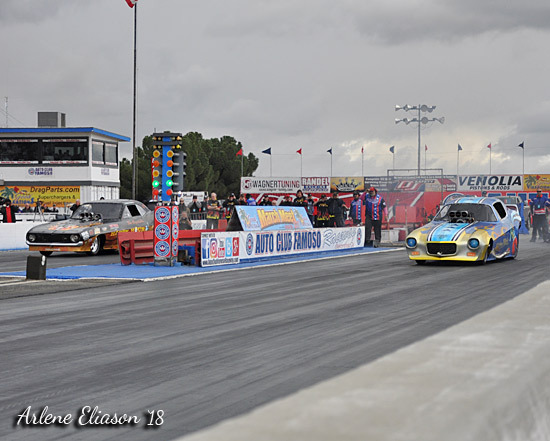 Next pair to race the rain was Ryan Hodgson and Kris Krabill. 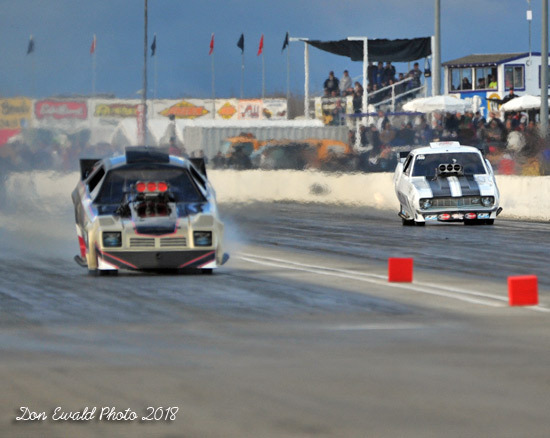 Pair four matched Billy Morris and John Weaver who was outside trying to get in. 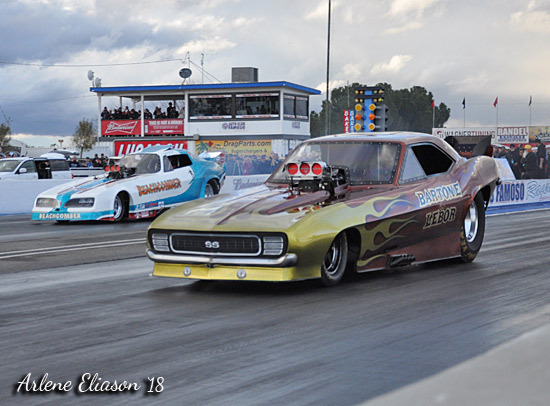 Next out was Shawn Bowen and Don Bowman. 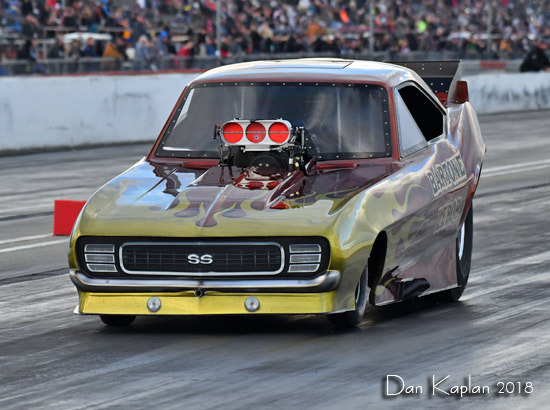 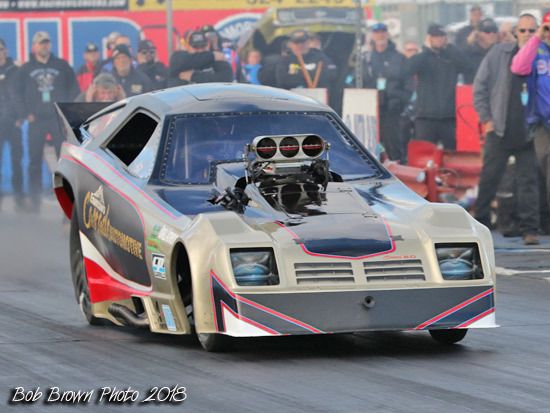 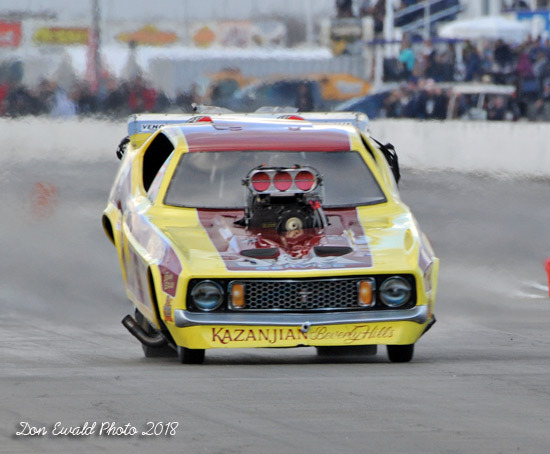 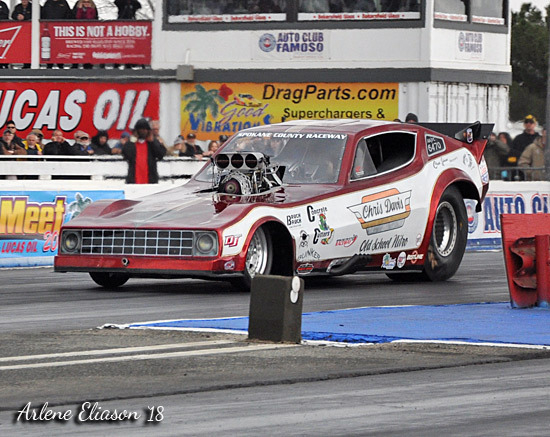 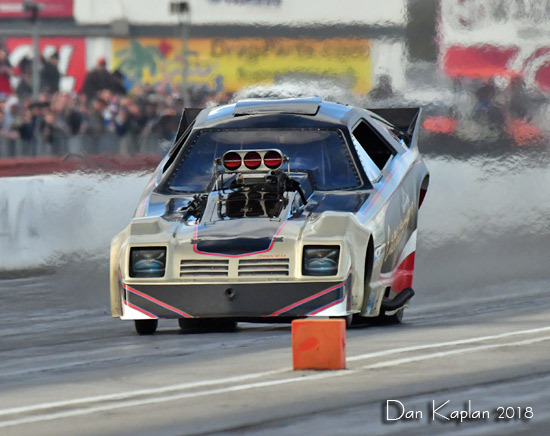 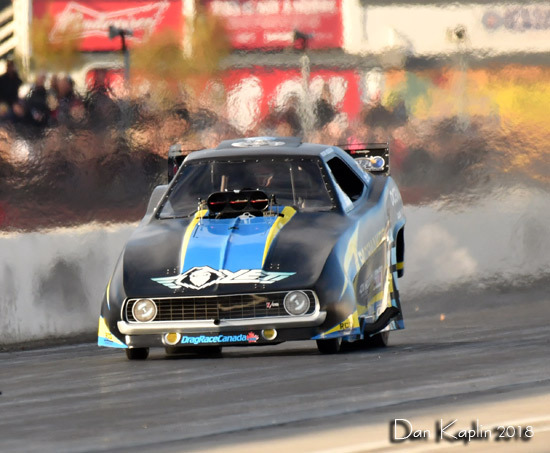 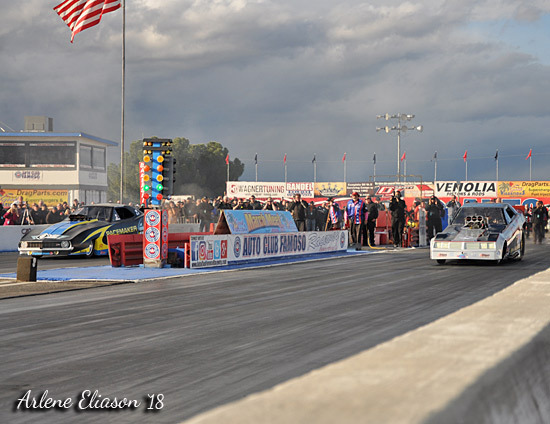 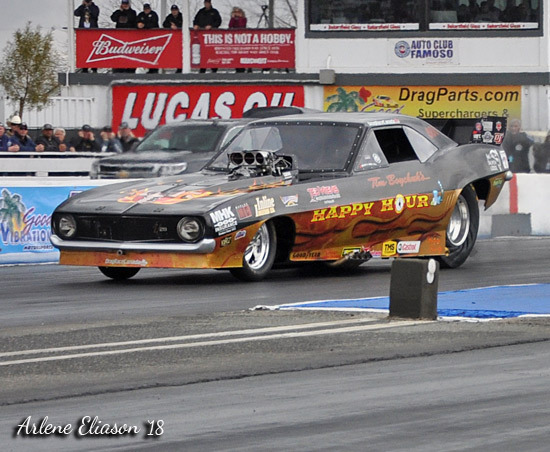 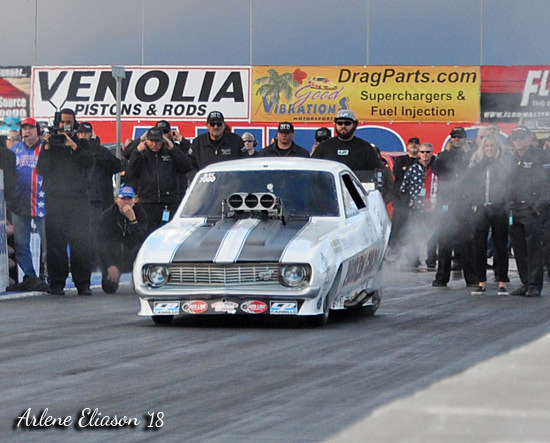 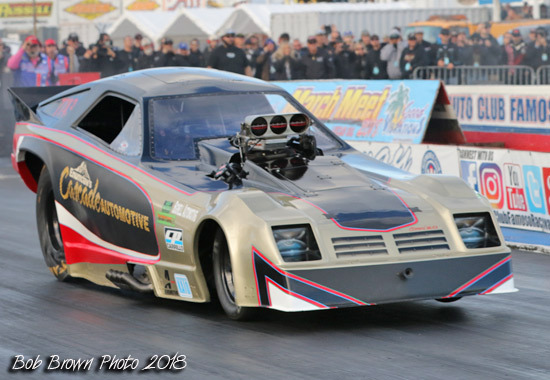 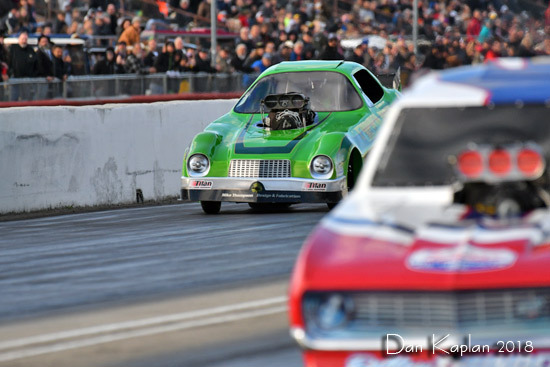 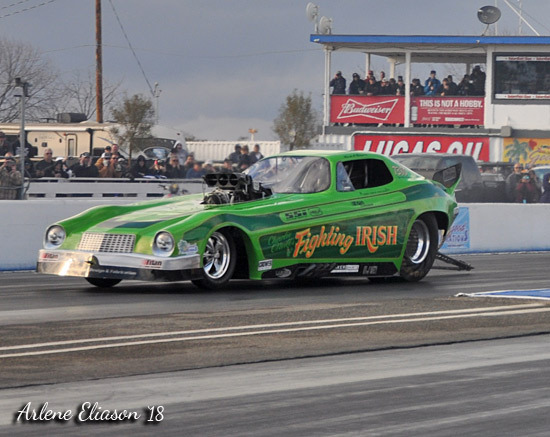 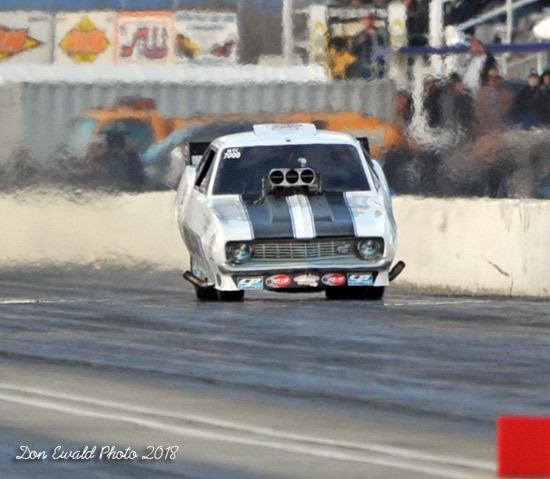 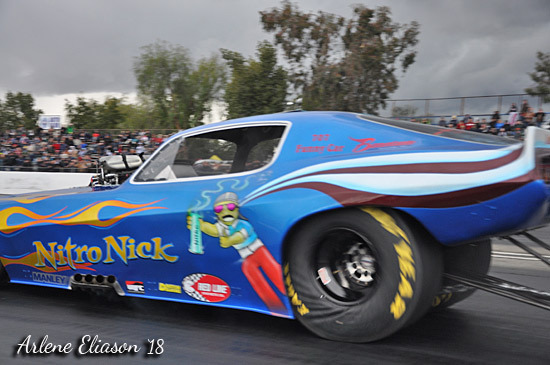 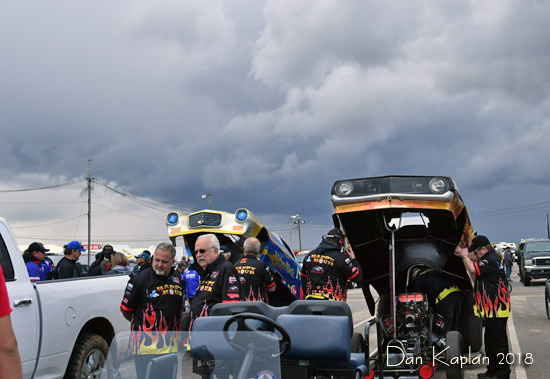 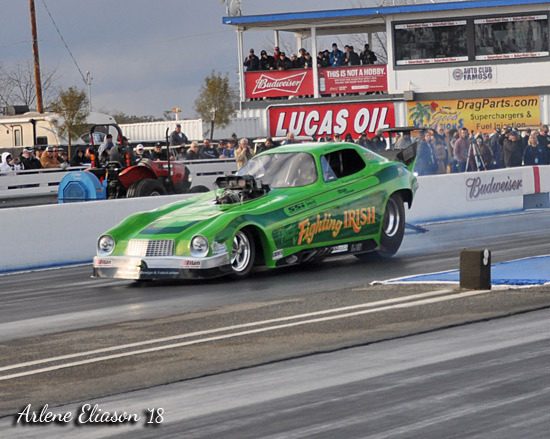 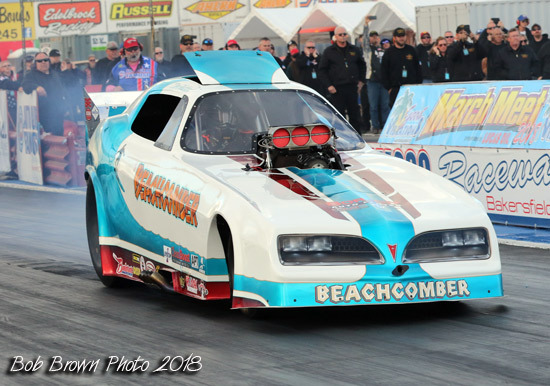 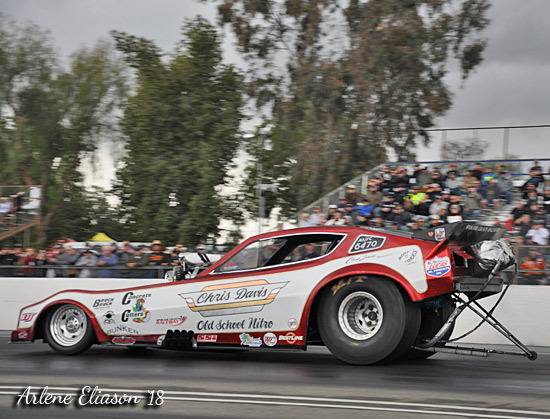 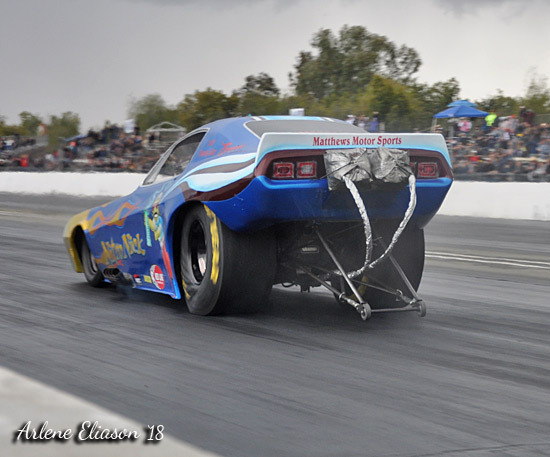 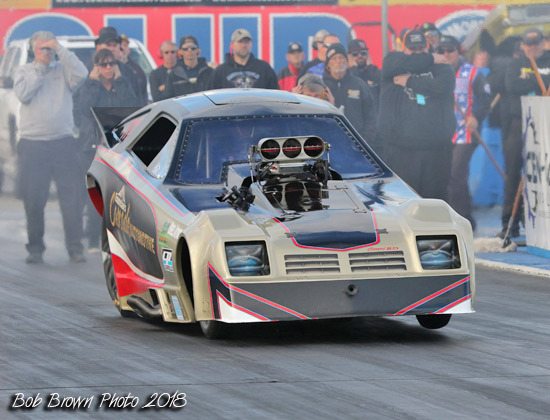 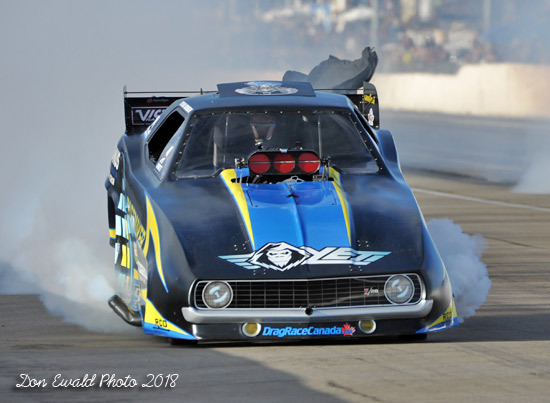 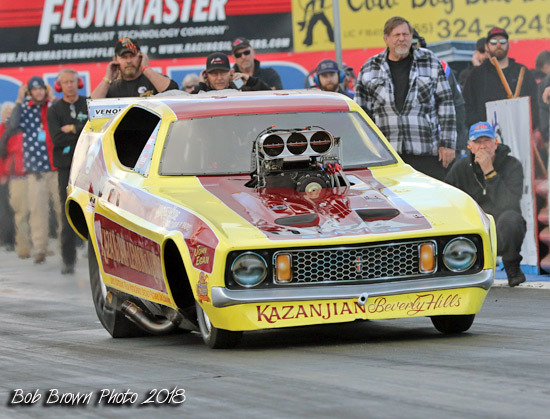 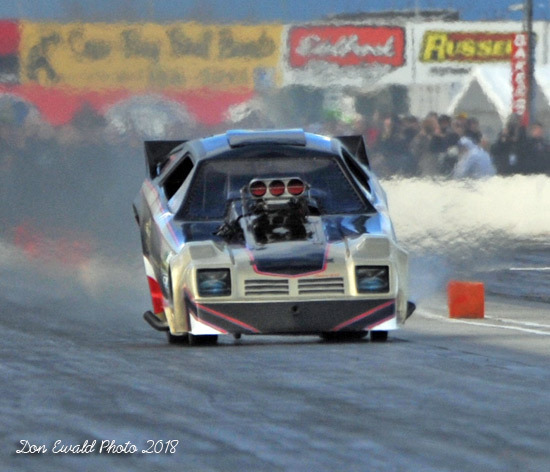 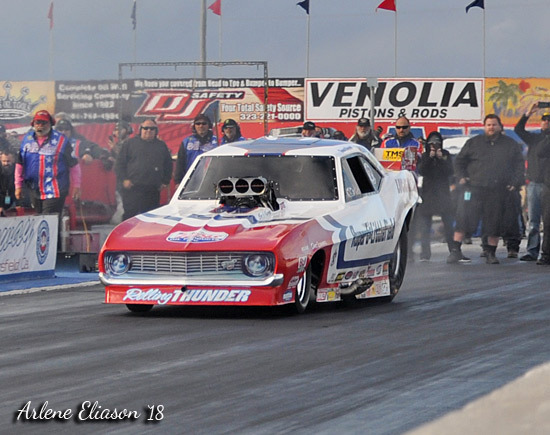 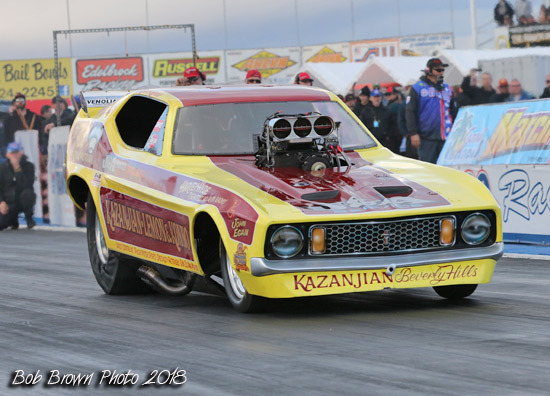 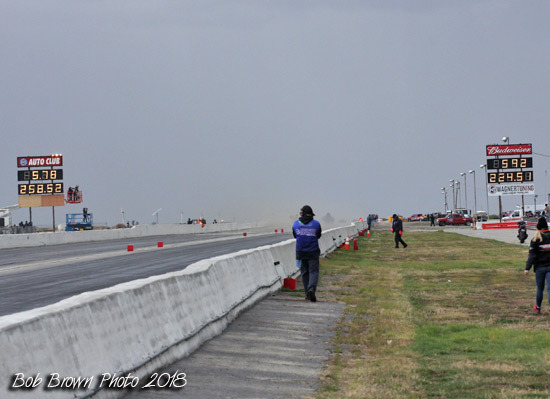 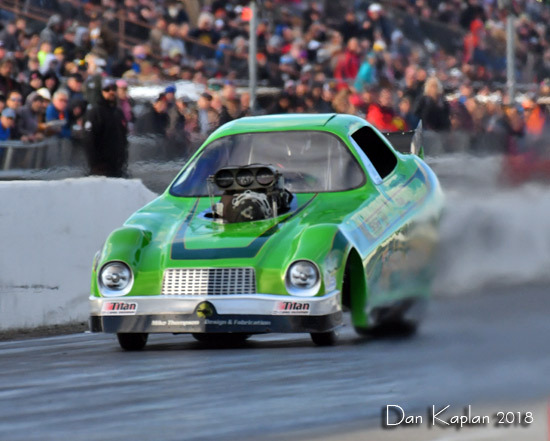 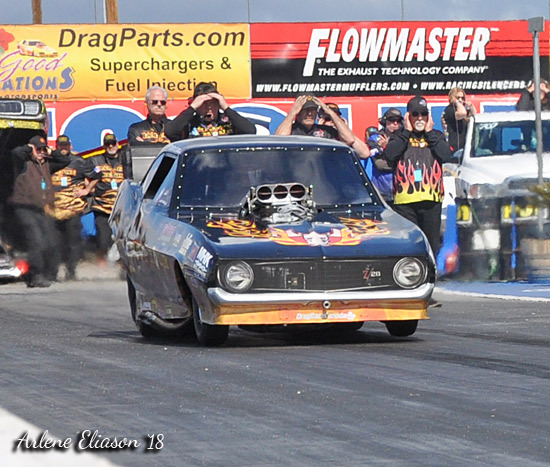 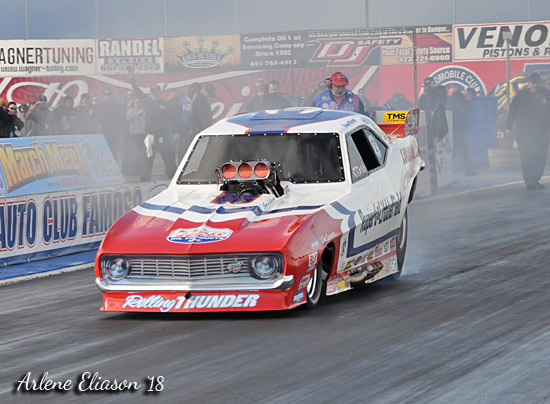 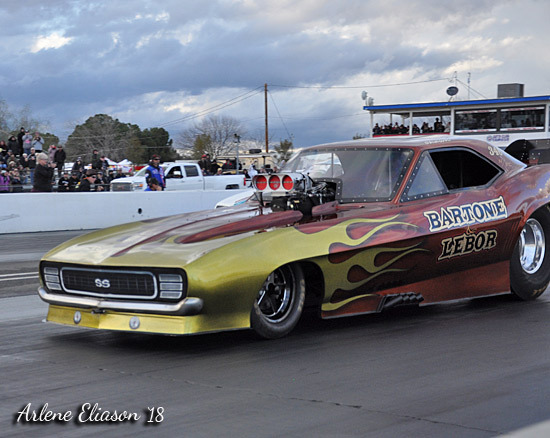 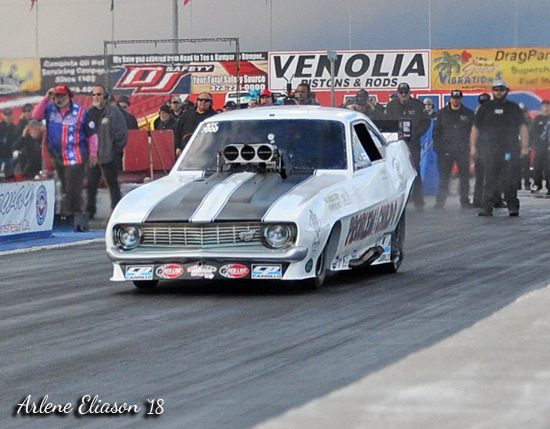 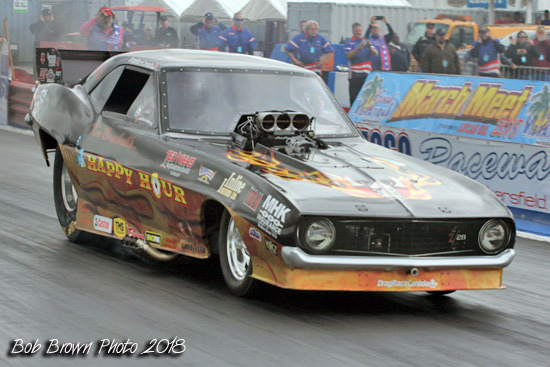 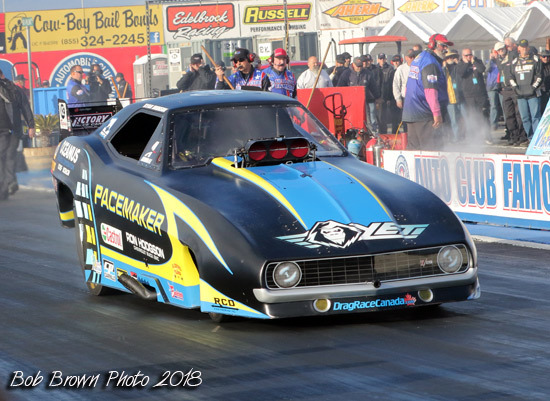 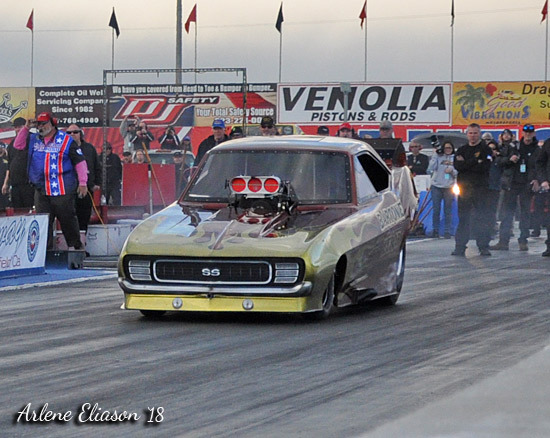 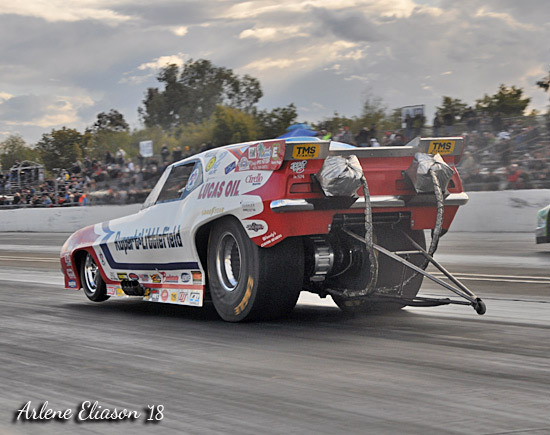 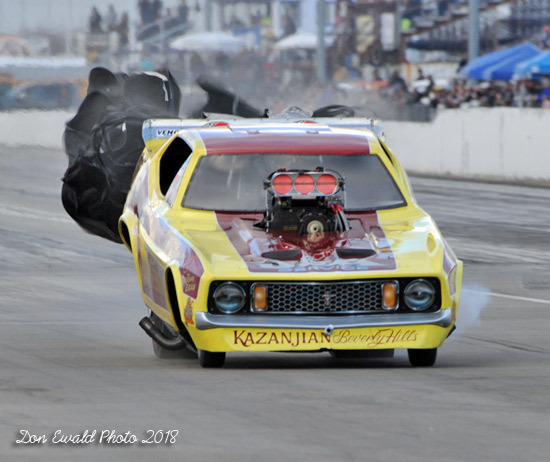 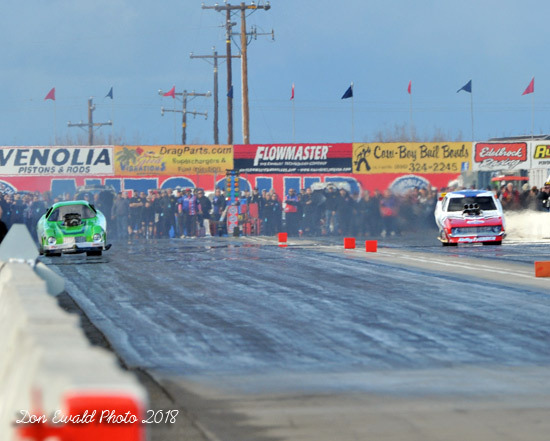 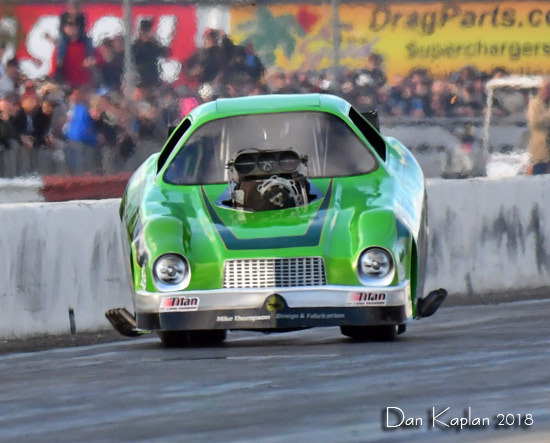 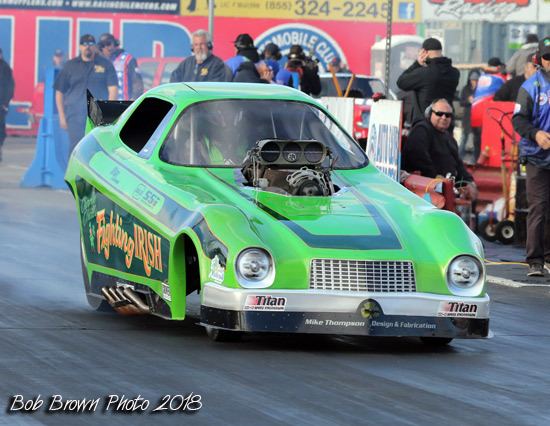 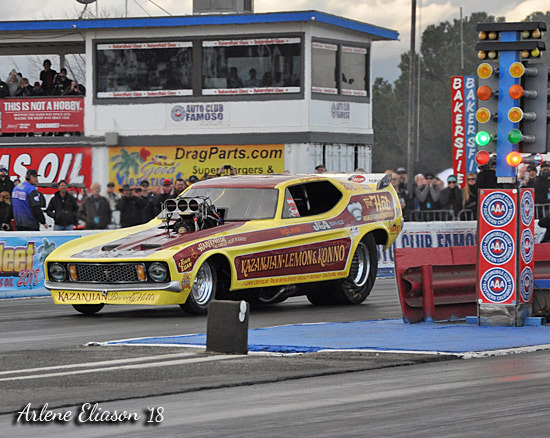 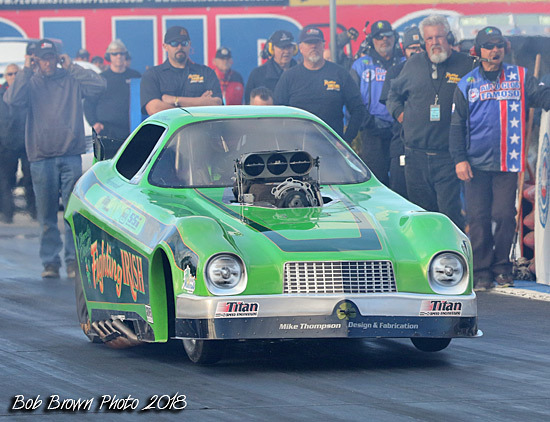 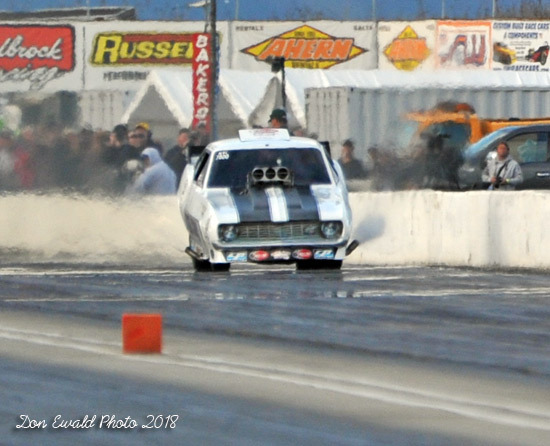 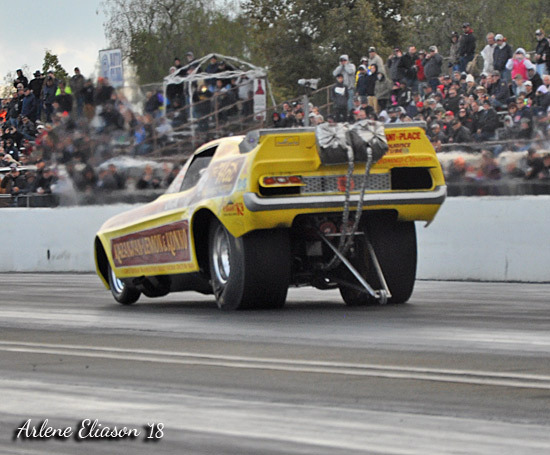 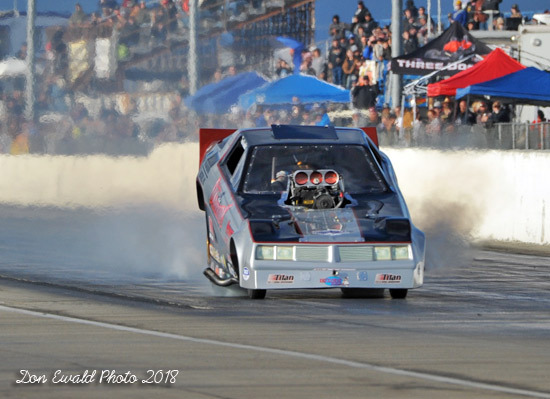 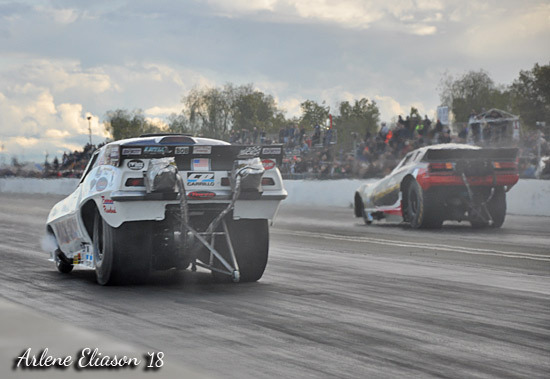 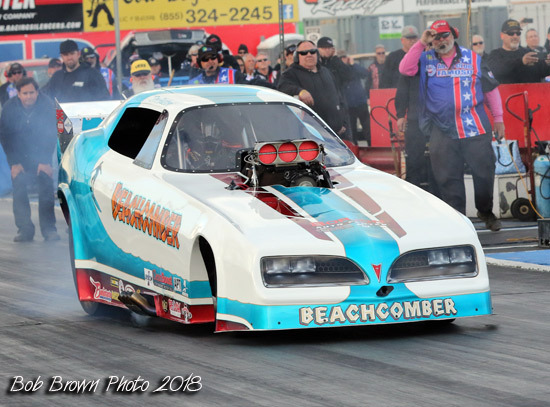 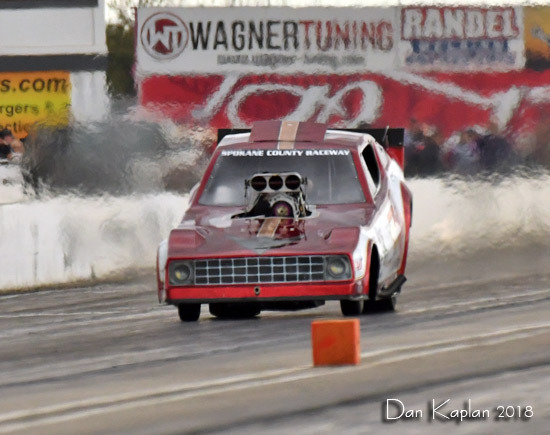 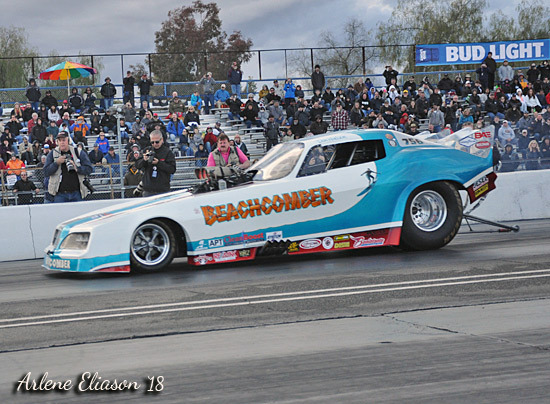 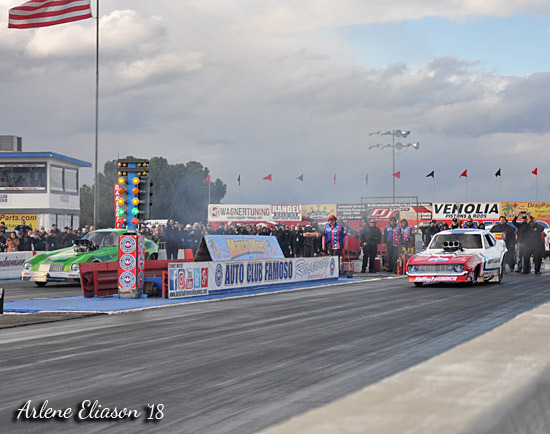 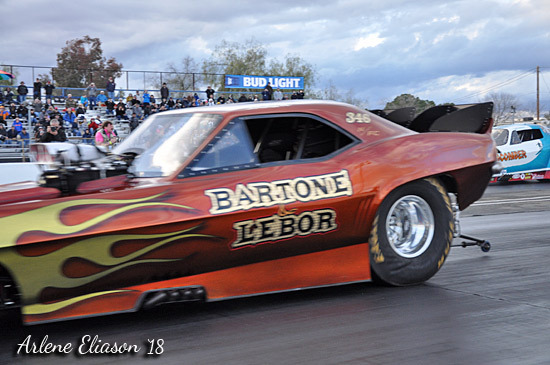 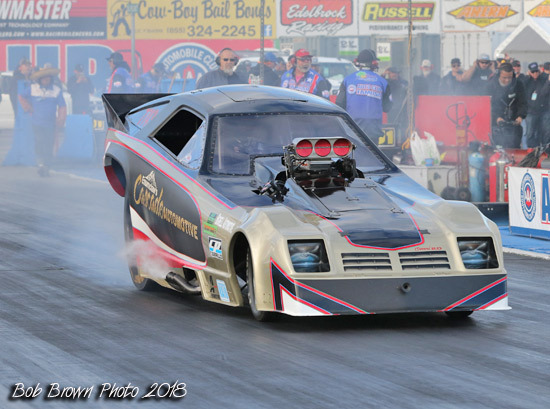 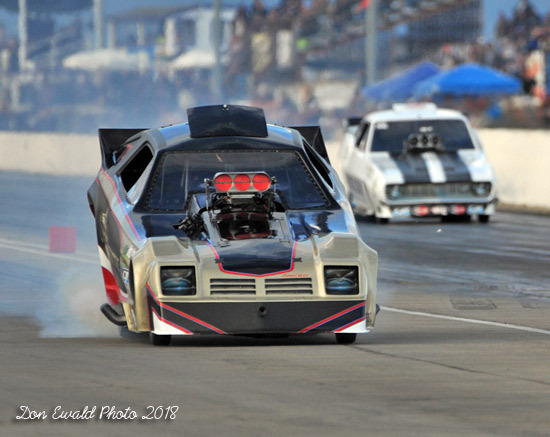 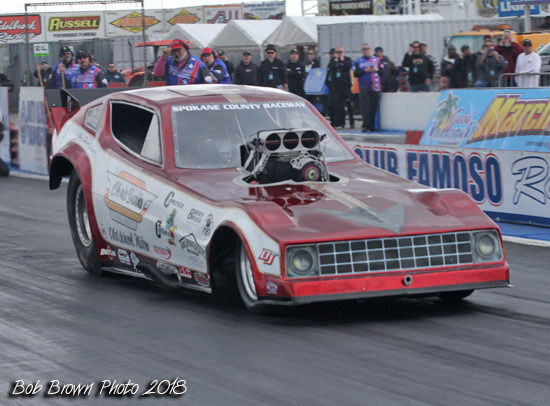 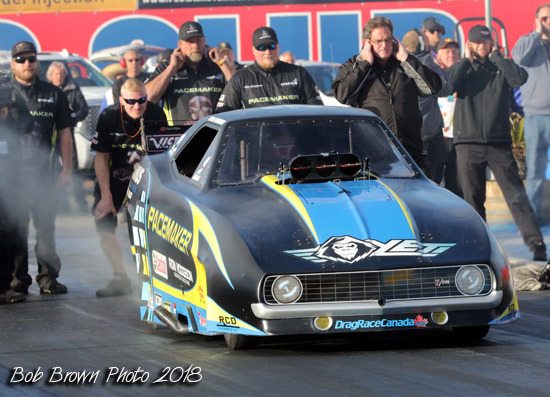 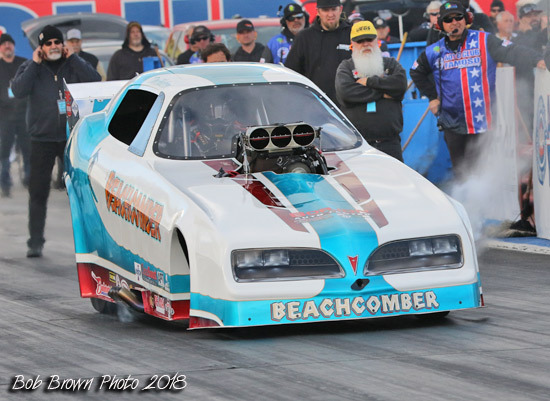 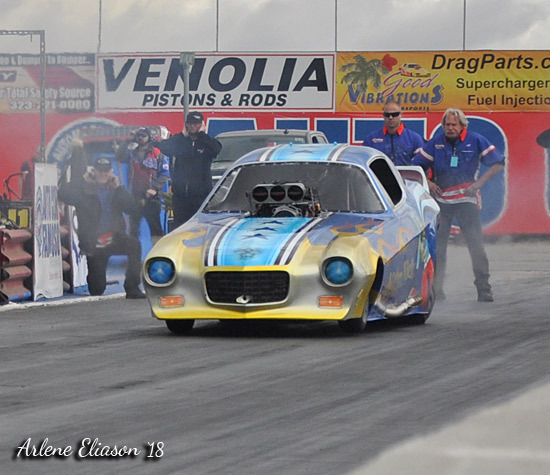 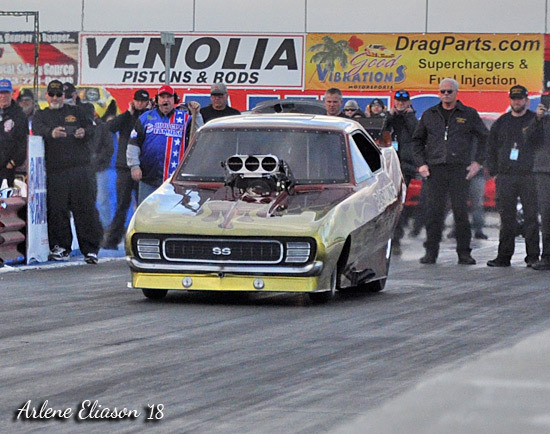 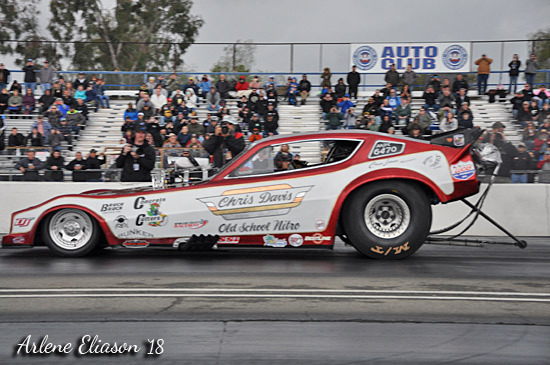 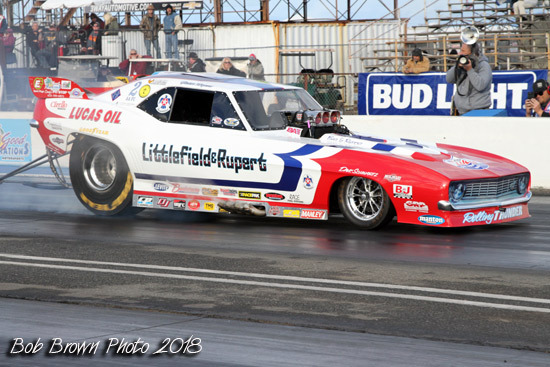 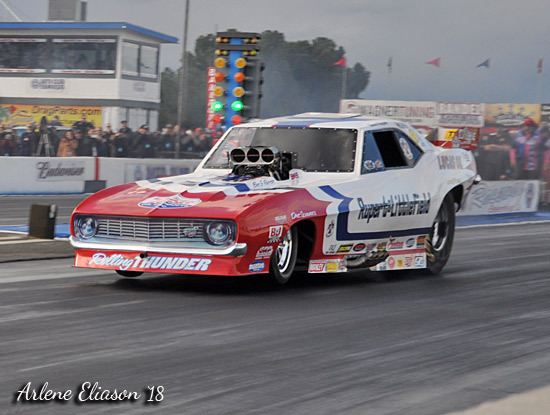 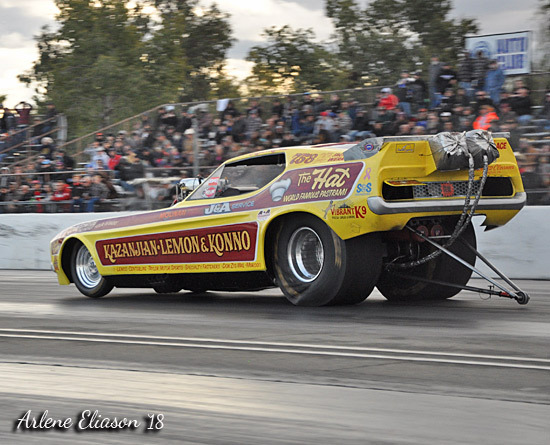 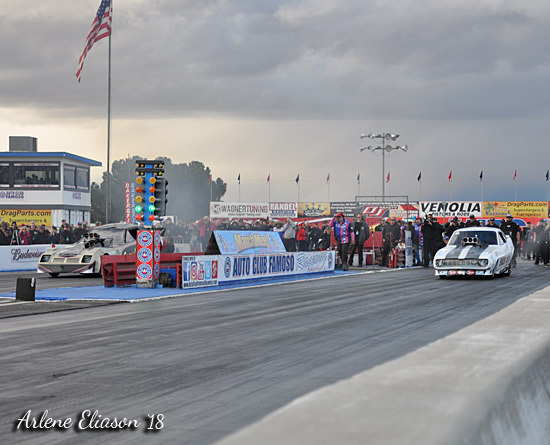 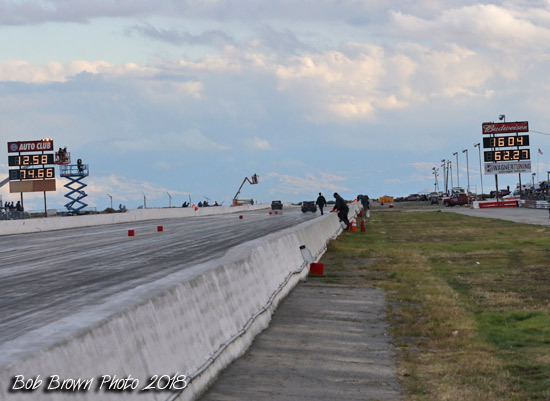 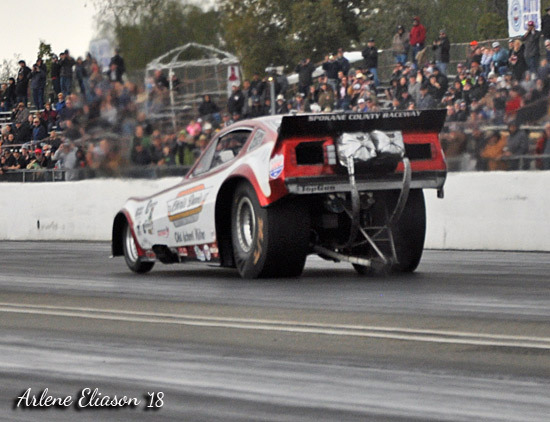 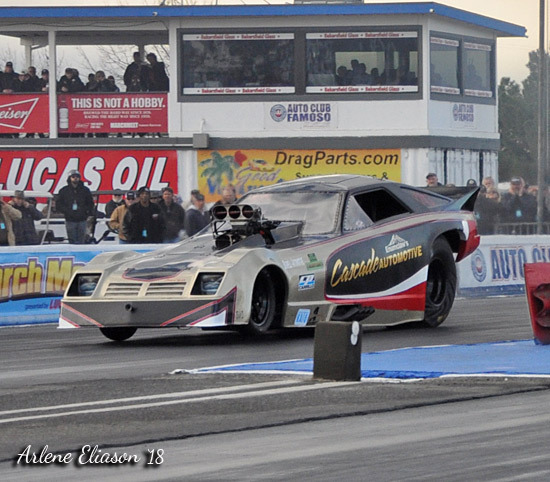 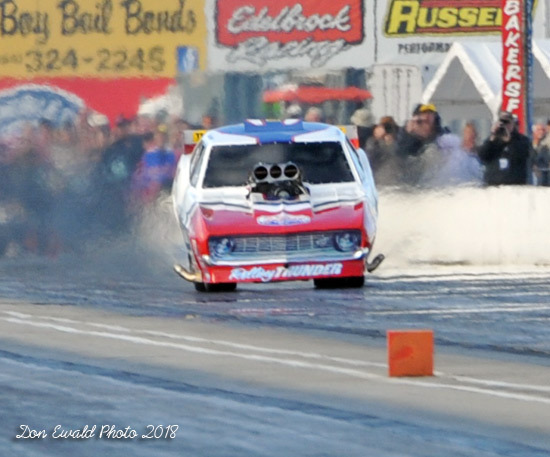 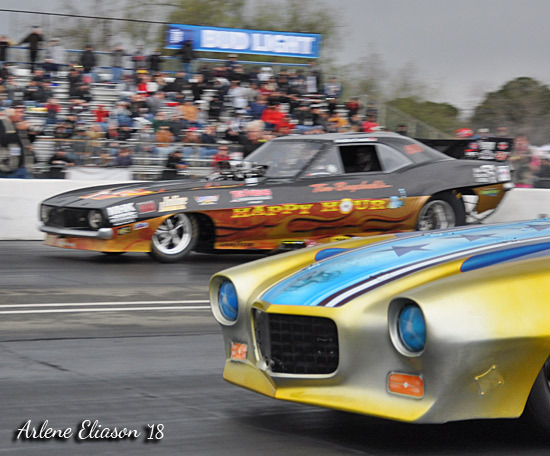 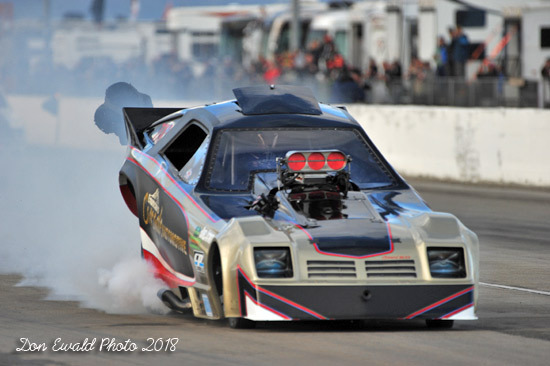 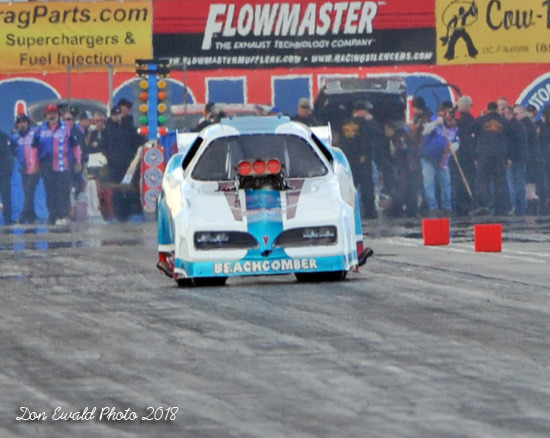 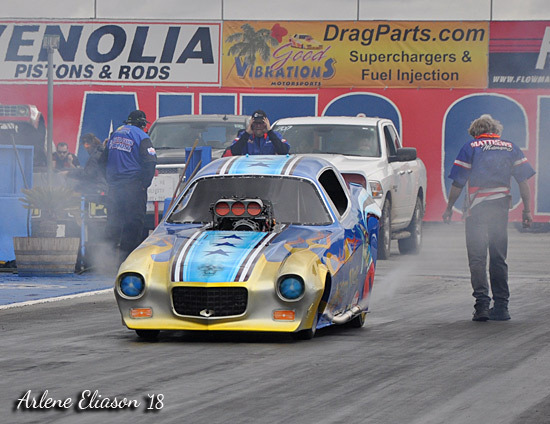 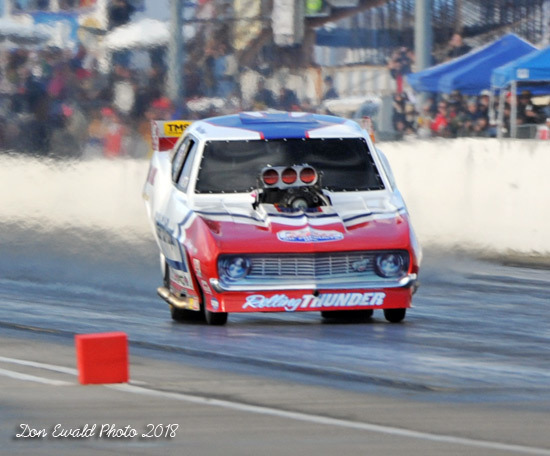 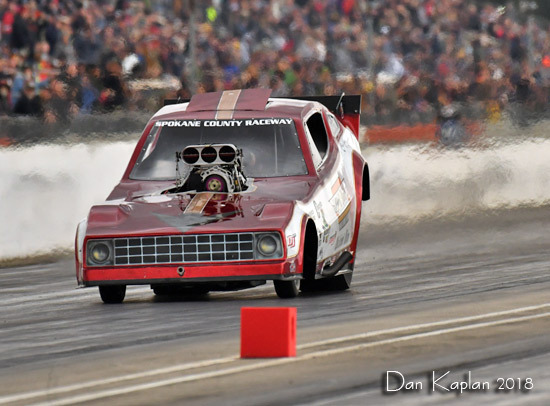 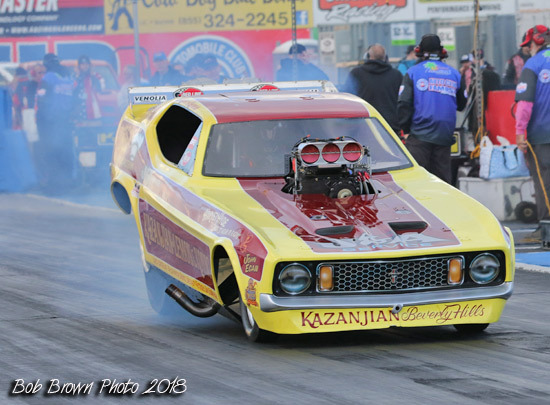 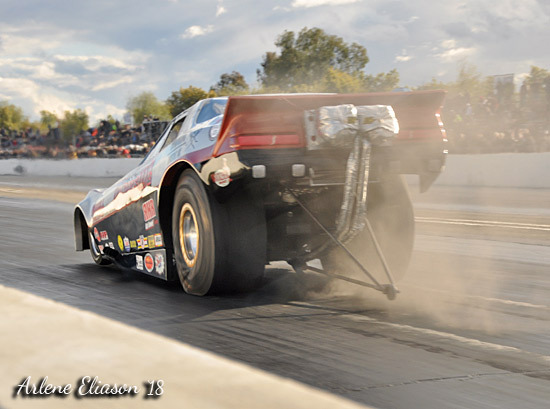 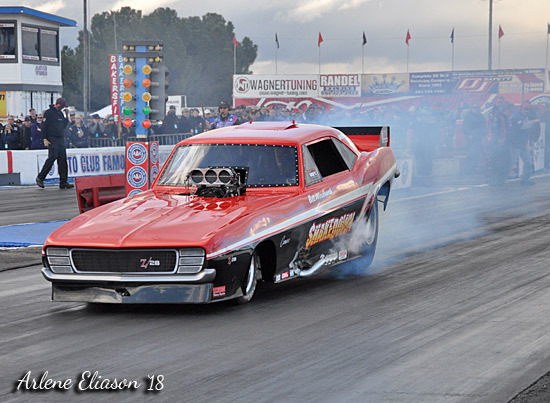 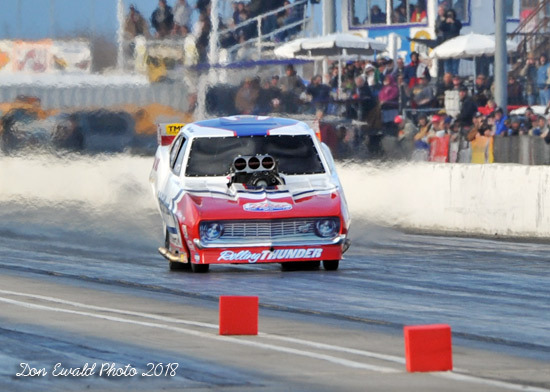 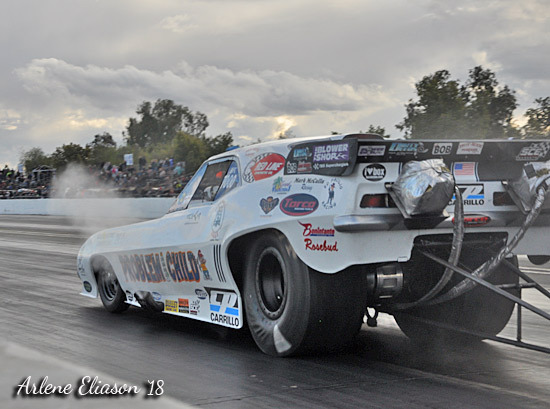 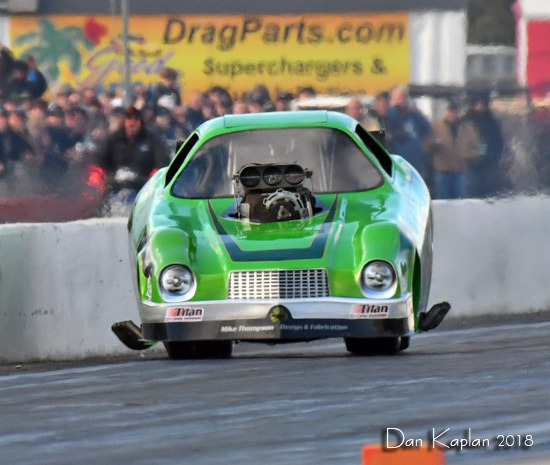 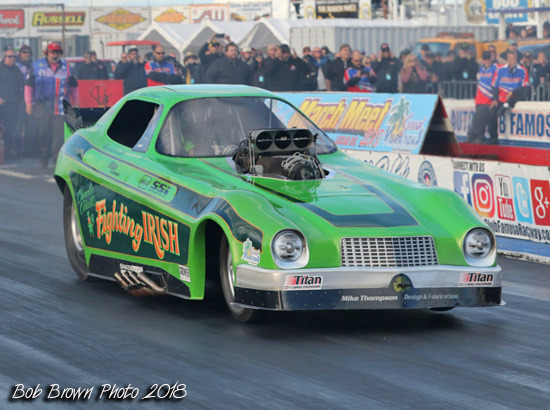 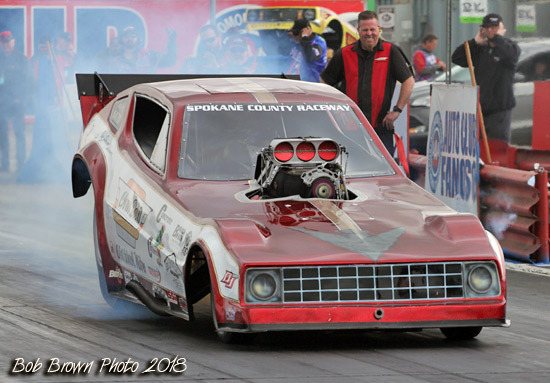 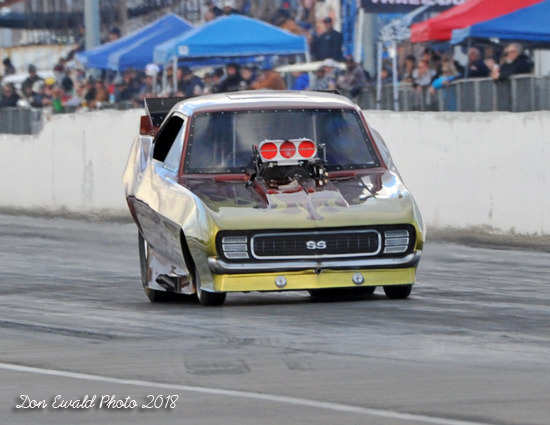 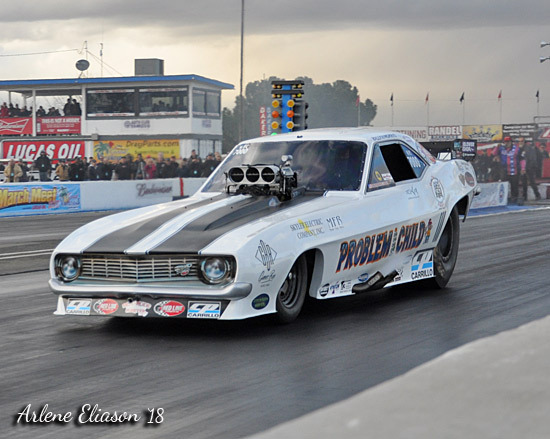 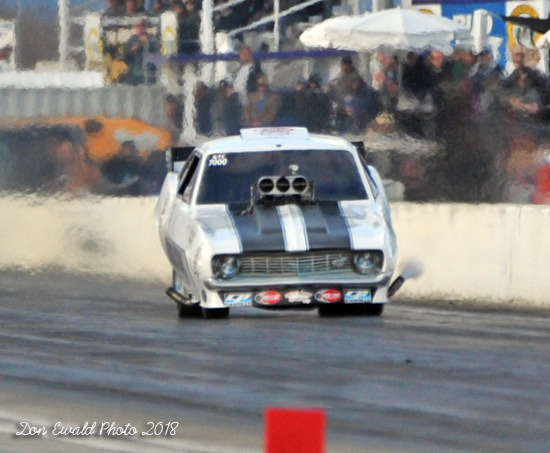 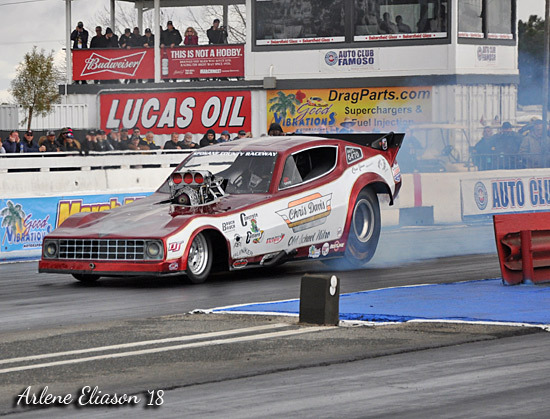 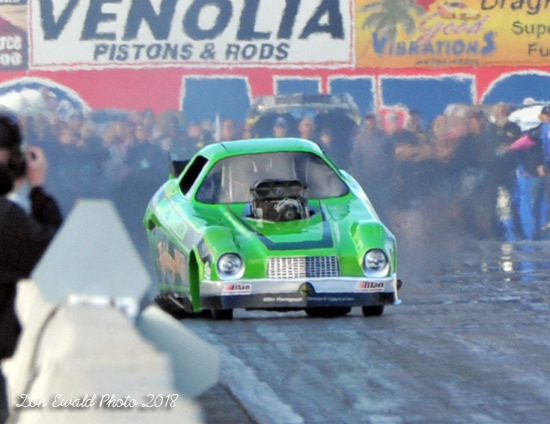 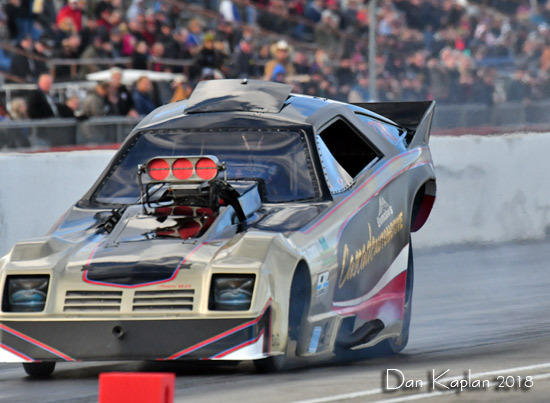 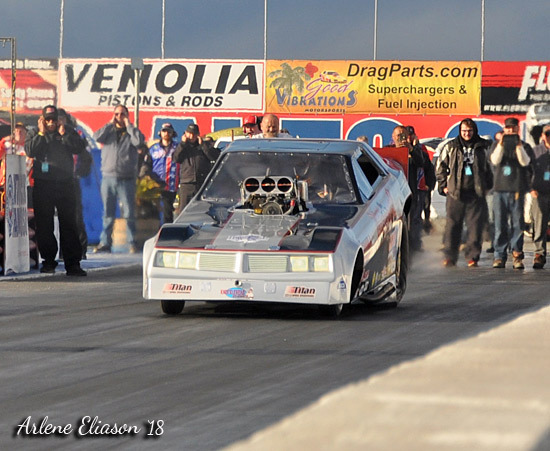 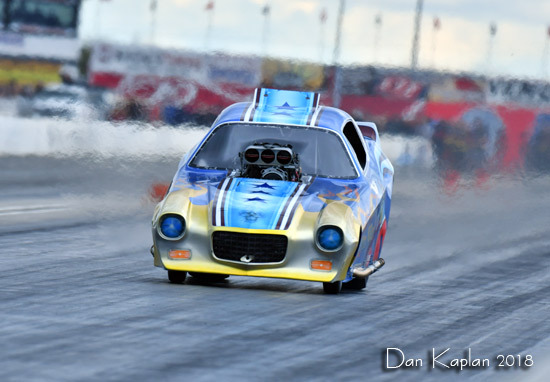 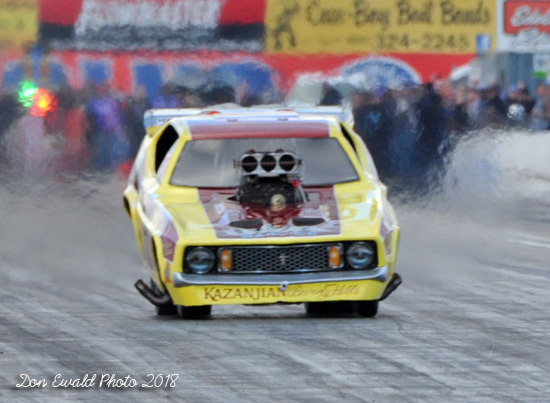 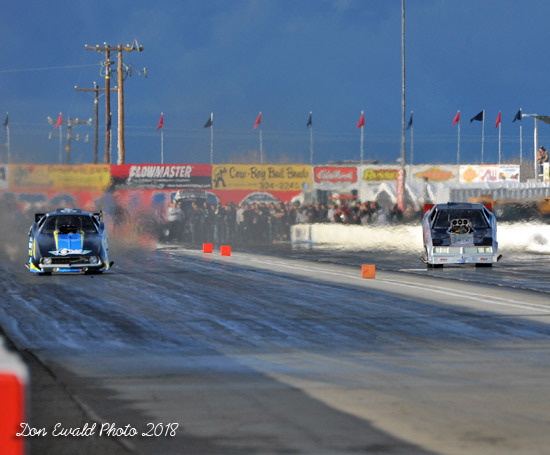 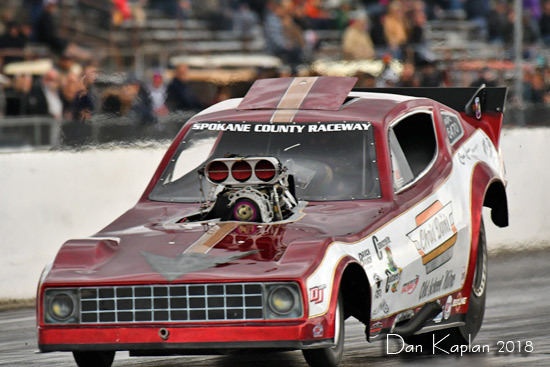 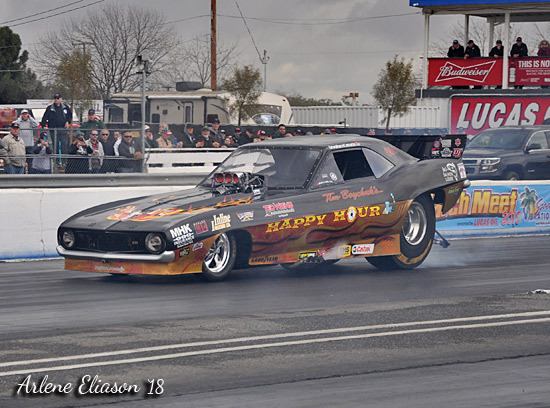 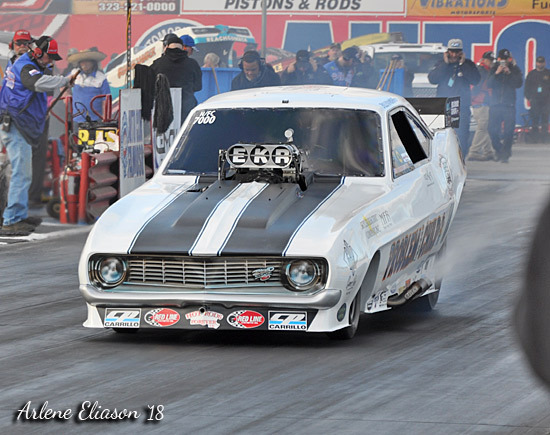 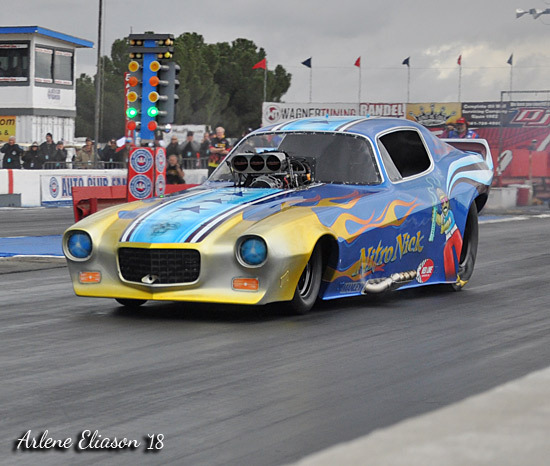 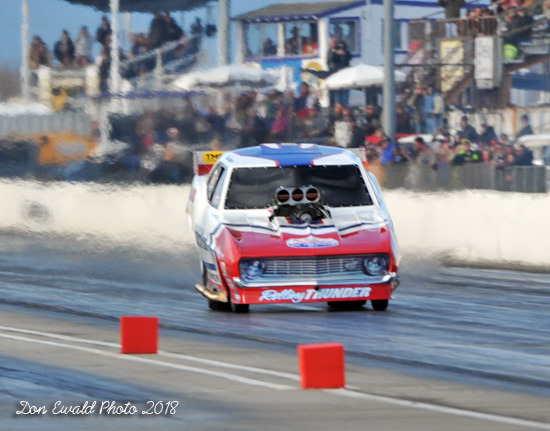 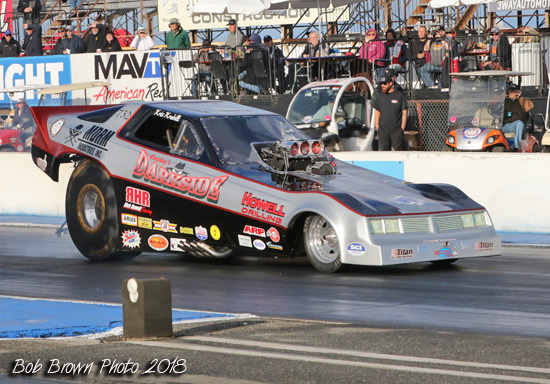 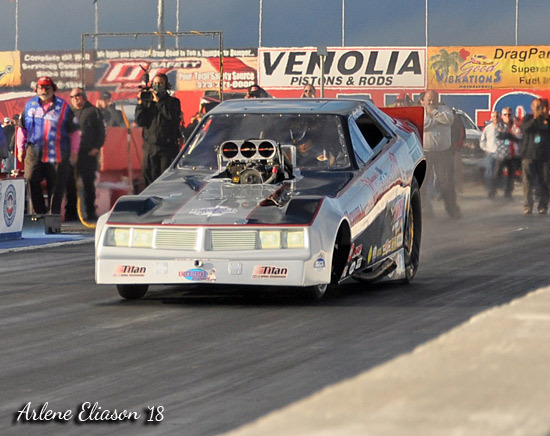 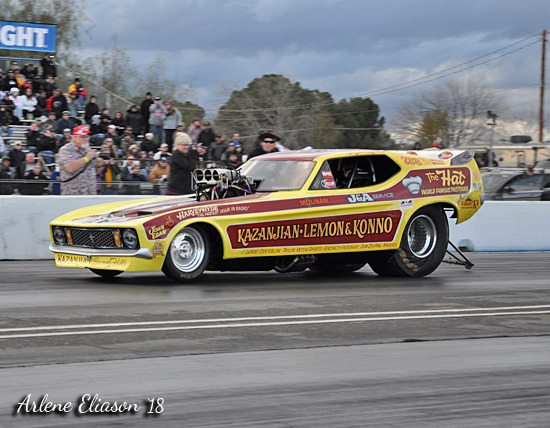 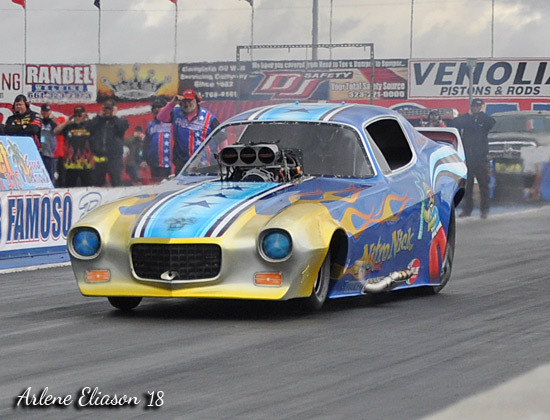 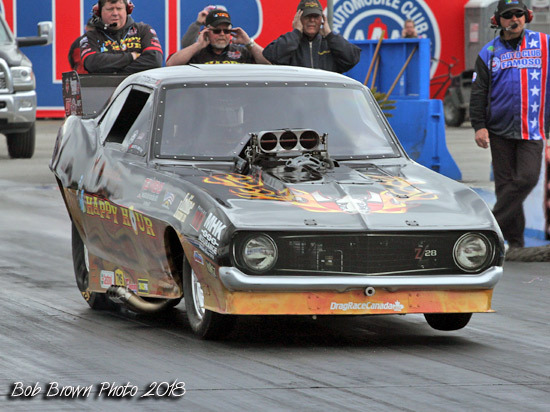 With the clouds getting darker, out came Rian Konno and Bill Windham with a car aptly named "Shakedown", a task it did not complete at this March Meet. 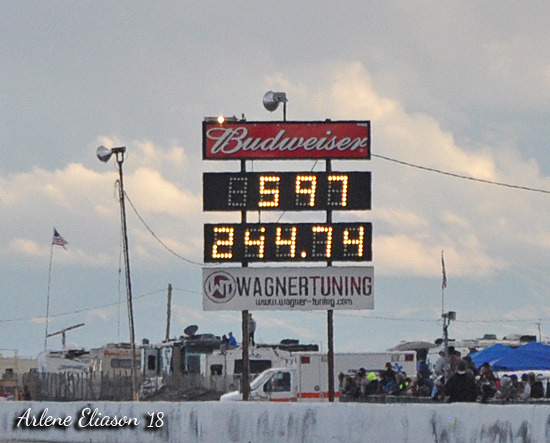 Windham was shut off leaving Konno to single. 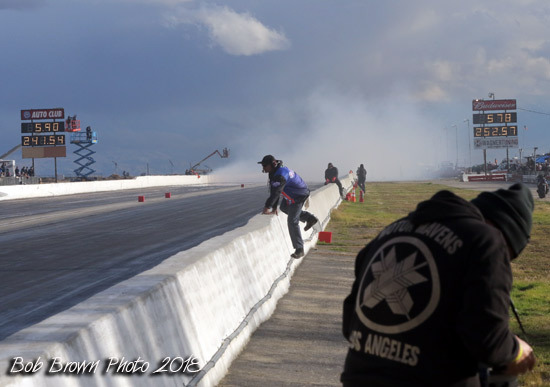 Windham made his final assault on the track and then there was rain. 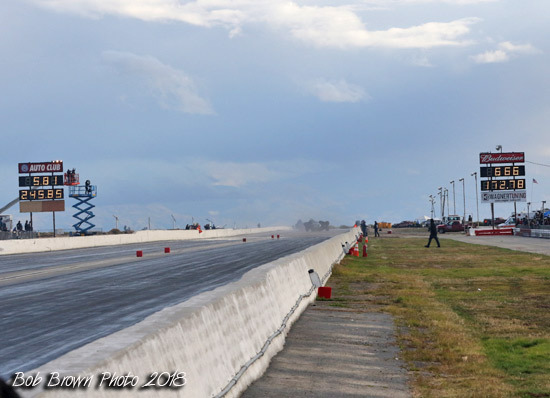 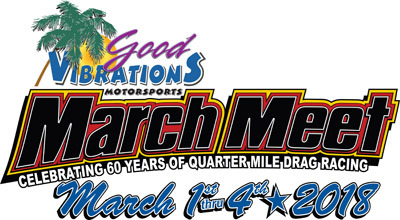 All qualifying DONE, fields were set for Sunday.